Here are the snacks that were brought back from Japan. Above is the Green Tea Kit Kat, it's sweet and has a very strong green tea taste to it, if they have it in Malaysia , it would be my happy food! 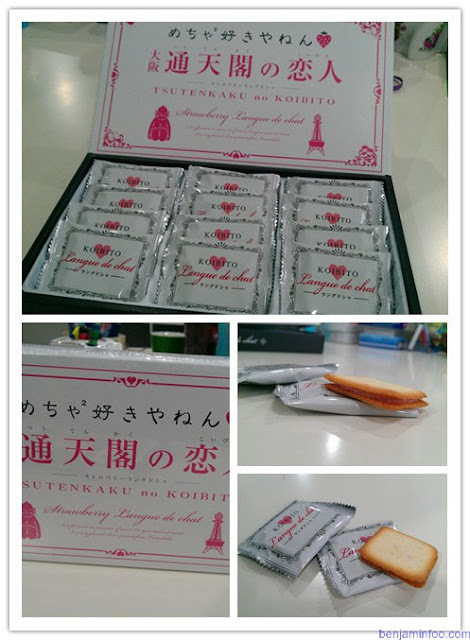 Strawberry cookies are the bomb! It's Pink , It smells like bubble gum, and those so so so dam sweet. 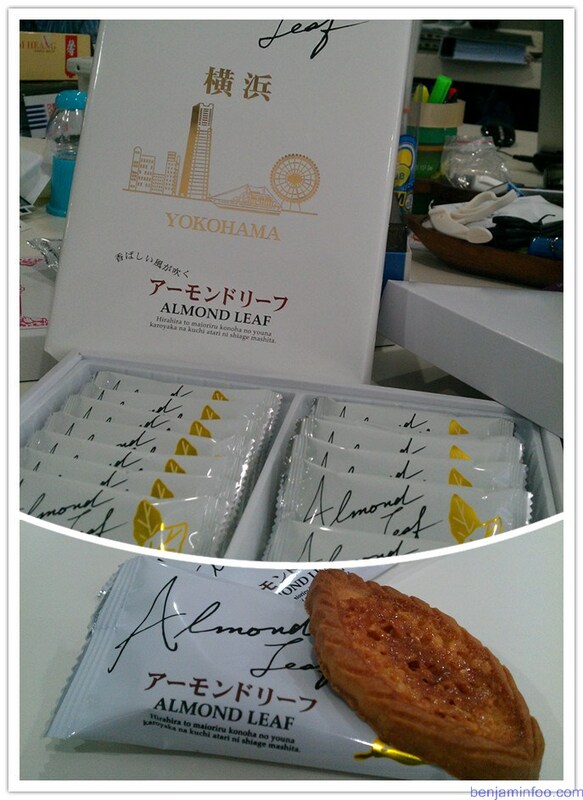 Almond leaf, shapes like it, and smells strong of almond, crunchy and wickedly good, taste best with cup of hot coffee. 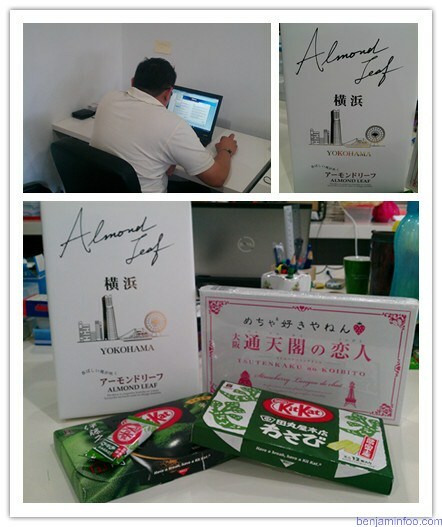 And here you will see our dearest programmer Alain Chong, back to work immediately after his trip, awesome dude! 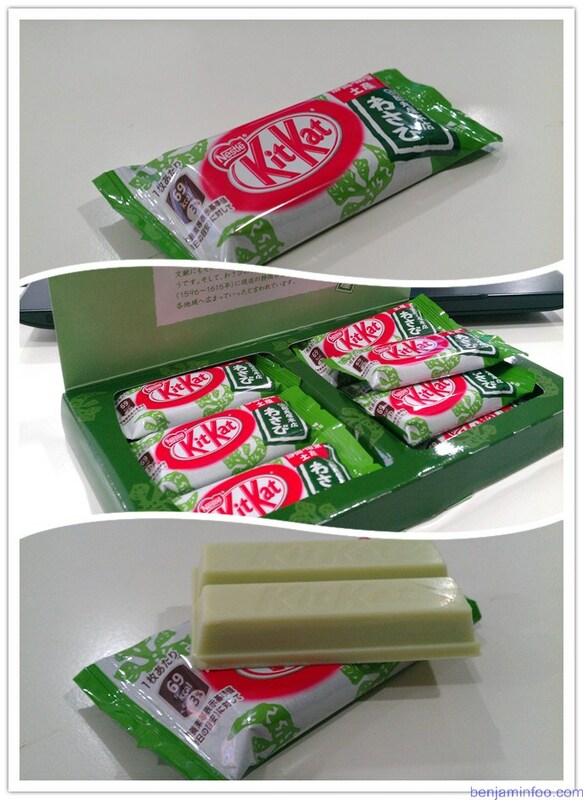 i love the green tea kit kat...bought it once here during a japanese food fair. wasabi sounds darn interesting though. 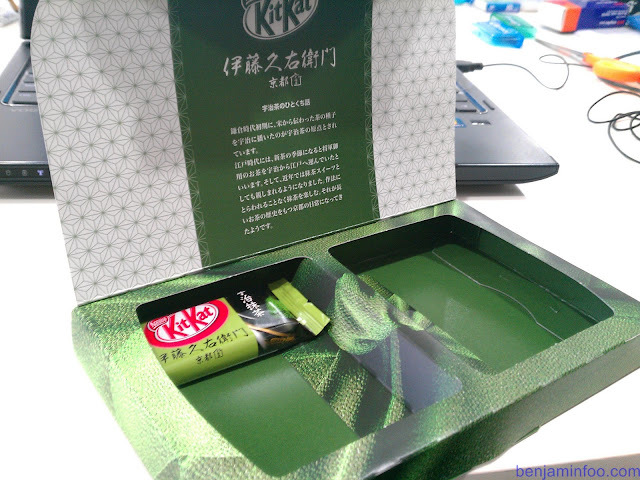 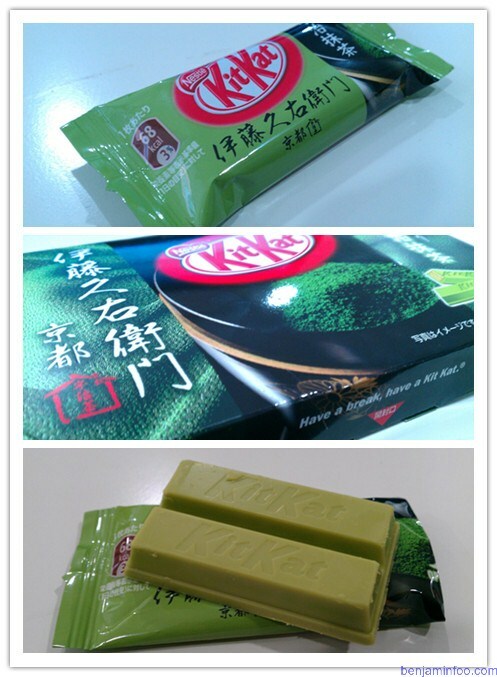 the green tea kit kat looks like wasabi kit kat at first.. lol..